ComponentOne Studio Enterprise, ASP.NET MVC Edition now includes a scaffolder control wizard so you can easily add or update controls even when you’re not using Entity Framework. 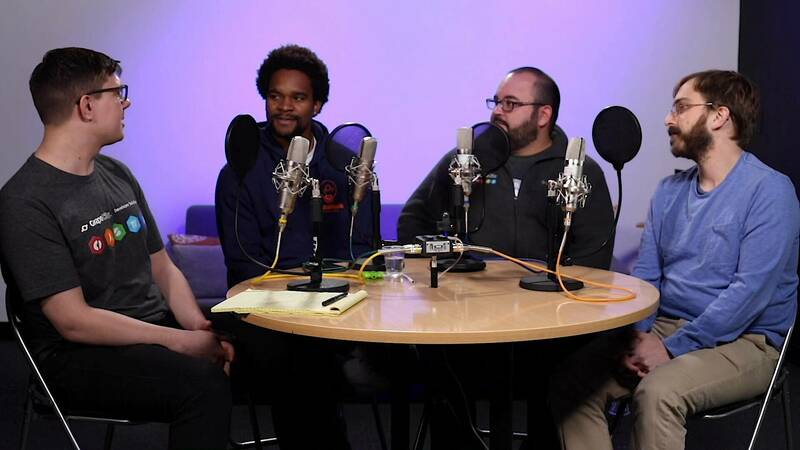 ...and they discuss how to choose the best framework when you're working towards developing an app ecosystem. 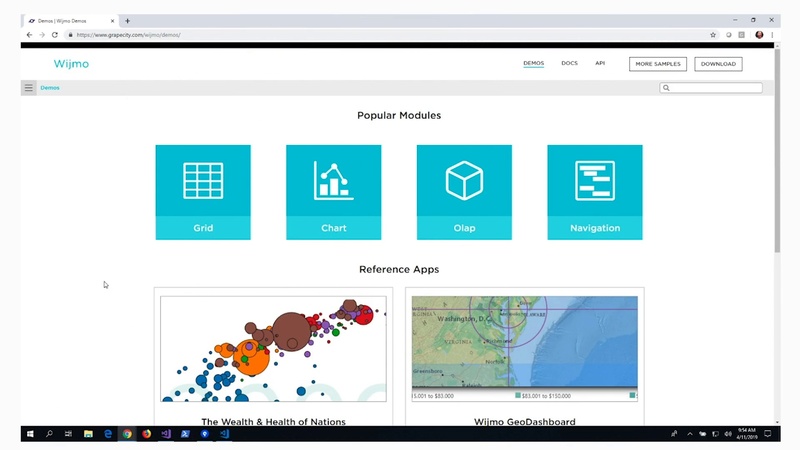 Wijmo’s first major release of 2019 has landed, and it includes brand new developer resources, customer-requested features, improved components using a new browser API, and more. 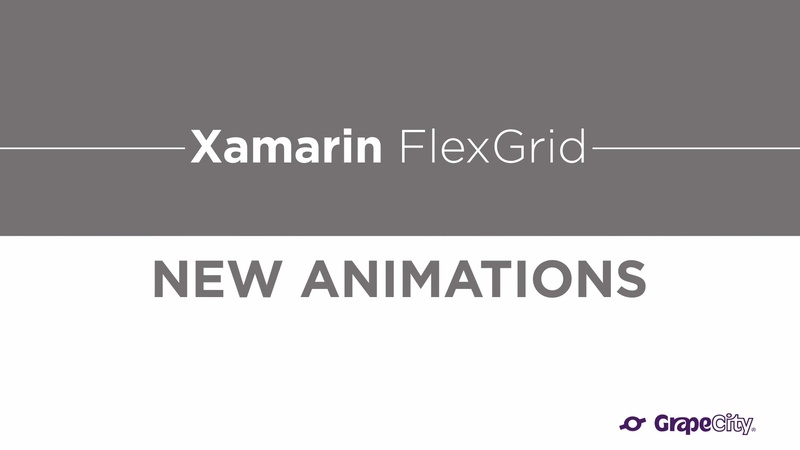 For the 2019 v1 release we’ve added new animations to the Xamarin FlexGrid to make it look and feel better than ever. Animations are important both cosmetically and functionally, as they greatly contribute to the responsiveness of your mobile UI. There are new animations for dragging and reordering rows and columns, a rip animation when selecting a row or column to drag, and new inserting and deleting animations. 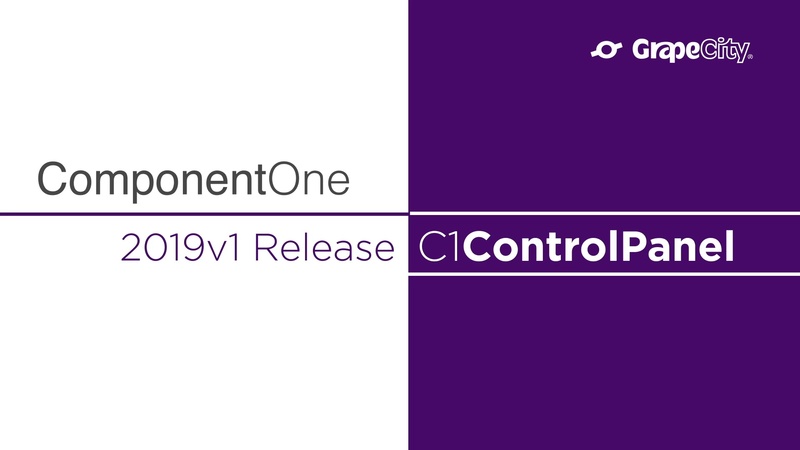 The ComponentOne Control Panel is a new tool to improve your interaction with ComponentOne libraries. The new application handles installing, versioning, updating, and licensing the controls on your machine. It provides fast access to samples and support as well. It greatly streamlines the process of using ComponentOne controls and replaces several disparate apps from the past.